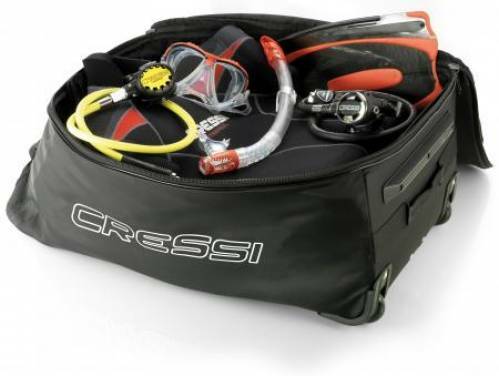 With careful selection of equipment, it is now possible to take all the diving equipment without exceeding the maximum weight 15kg imposed by aviation regulations. The weight of the backpack or bag is especially critical in the set. 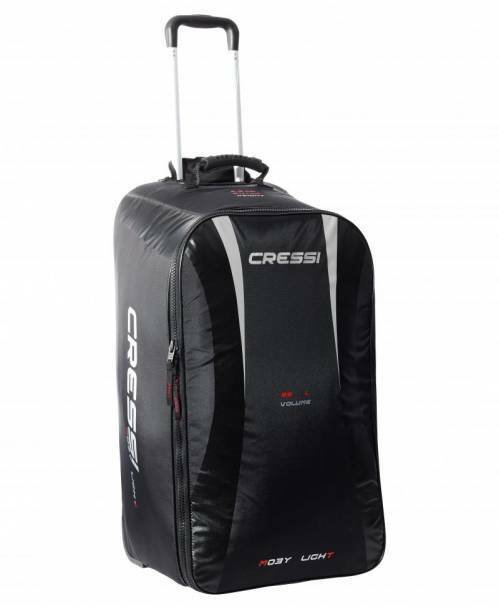 MOBY LIGHT is a bag with generously sized wheels (85L capacity) result of a long study in order to minimize the weight of baggage on air flights. Multiple prototypes have been accurate to reach the final version, with only 2.9kg, cut almost half the weight of many backpacks on the market. The preparation as far removed as possible unnecessary compartments. The base fabric is a 420 denier nylon, exceptional quality, lightweight, flexible and resistant at the same time. All zippers are YKK © antisalino metal with treatment, an element value as collateral especially in duration, even with a not particularly careful treatment. They are matchable to insert a padlock or security element. Always easy sliding even in corners of the zipper. The opening of the main compartment is easily accessible thanks to the distribution of the rack "U". Telescopic Trolley is reinforced and is concealable. New silicone oversized wheels for quiet and easy use also on uneven surfaces and stairs. Reinforced structure assembly. Lower lift handle to allow the bag with both hands to place it in the trunk, etc.